The Richard Sherman free agency tour is over after just one visit. According to ESPN.com, Sherman has agreed to terms on a three-year deal with the 49ers in a move that comes just one day after the former All-Pro cornerback was released by the Seahawks. It’s been a whirlwind week for Sherman, who started texting his Seahawks teammates as early as Tuesday to let them know that he was going to be released. The Seahawks made the move official on Friday, and by Friday night, Sherman was in the Bay Area having dinner with 49ers coach Kyle Shanahan. After spending the night in the Bay Area, the four-time Pro Bowler met with the rest of 49ers brass on Saturday, and apparently, things went well, because the three-year deal got done before 5 p.m. local time on the West Coast. The fact that Sherman tore his Achilles in November didn’t seem to deter the 49ers in contract negotiations as the cornerback scored a huge deal, considering his health. According to NFL.com, Sherman’s three-year deal is worth $39 million and includes a $5 million signing bonus. 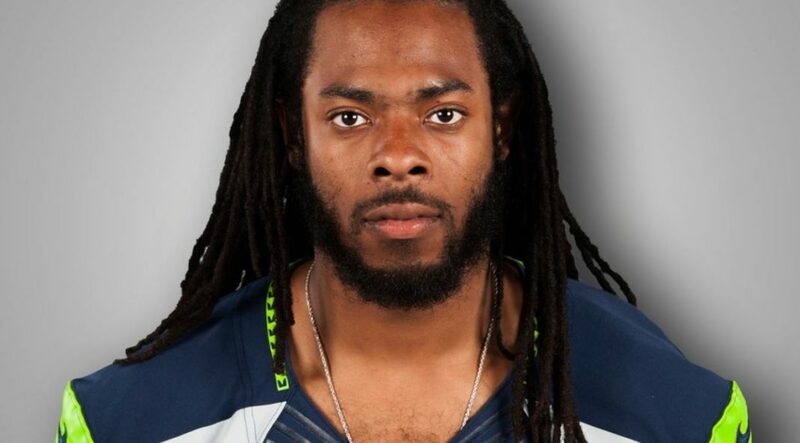 Sherman was scheduled to make $11 million in Seattle in 2018 before the Seahawks cut him in money-saving move. One thing we don’t know is how much guaranteed money will be in Sherman’s new deal. If it’s a high number, that likely means the 49ers believe Sherman can will return fully healthy after suffering a devastating injury last season. The 29-year-old missed seven games in 2017 after tearing his right Achilles tendon and also had to have surgery on his left leg this offseason to clean out bone spurs. If Sherman does make a full recovery though, he’ll be a huge upgrade for a 49ers secondary that struggled against the pass in 2017, ranking 22nd overall in the NFL. For Sherman, there’s a lot of upside to signing with the 49ers. For starters, he now gets to play the Seahawks twice a year. Not to mention, the cornerback also gets to return to his home state of California. Sherman went to high school in Southern California before heading to Stanford for college. Sherman is also somewhat familiar with the scheme run by 49ers defensive coordinator Robert Saleh. If you’re wondering why Sherman didn’t visit with any other teams during his brief free agency, those three reasons probably played a big role in keeping Sherman in San Francisco. Although Sherman has some negative history with the 49ers, there aren’t many players left on San Francisco’s roster that were part of the bitter Seahawks-Niners rivalry between 2011 and 2013. After the Seahawks beat the 49ers 23-17 in the NFC title game following the 2013 season, Sherman went on a wild rant that was directed at the 49ers and their former receiver, Michael Crabtree. Of course, if Sherman can help the 2018 49ers, everyone in San Francisco will likely let bygones be bygones. Sherman, who will turn 30 on March 30, has been one of the most productive corners in the game since his rookie year in 2011. With Sherman now off the market, that means that other teams that had shown interest in him over the past 24 hours will have to look elsewhere for a cornerback. The list of teams that showed an early interest in Sherman included the Titans, Lions, Raiders, Texans, Buccaneers and Packers. The 49ers will only be the second team that Sherman has ever played for. Before being released on Friday, the four-time Pro Bowler had been with the Seahawks since 2011, when they selected him in the fifth round of the NFL Draft.